Nexus 5X and Nexus 6P Pre-Orders Now Live! 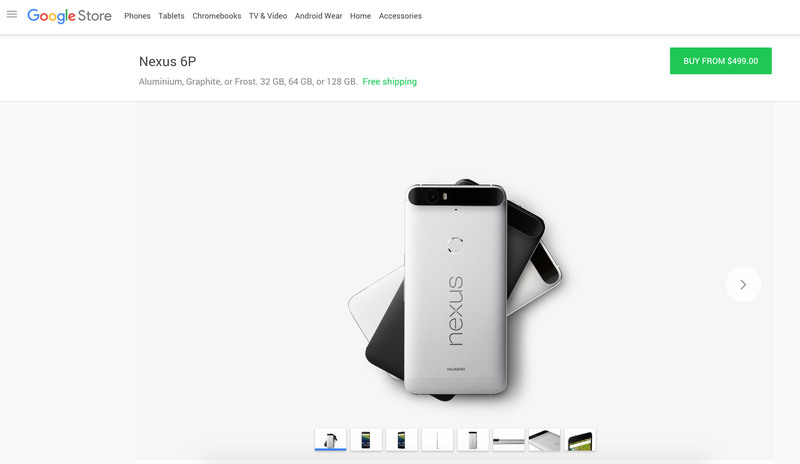 Nexus 6P and Nexus 5X pre-orders are now live on the Google Store! Go! Go! Go! The Nexus 5X comes in three colors (Carbon, Quartz, or Ice) and starts at $379. The Nexus 6P comes in three colors as well (Aluminium, Graphite, or Frost) and starts at $499. These phones are unlocked and ready for all US carriers.